Setting your white balance is an essential part of the creative photography process. The "best" white balance isn't always the one your camera selects—or, for that matter, it isn't always the one that removes color casts, either. Olympic National Park, Washington State, Canon EOS 5D Mark III, Canon EF 16-35mm ƒ/2.8L Mark II, ISO 100, ƒ/11, 0.3 sec. Most of us use automatic white balance, letting our cameras choose the proper color balance for our photographs. Your camera is actually pretty smart, and probably gets it "right" more often than not. The reason I say "right" in quotes is because color balance is in many ways subjective, and what you determine to be the best color balance for your photos will depend in large part on your personal tastes and artistic goals. Accordingly, there's no reason to feel constrained by the settings your camera chooses, especially when shooting RAW format, which allows penalty-free white balance adjustment during the image-processing phase. In fact, white balance is an important creative tool for photographers, one that too often gets overlooked. I'll often deviate from the choices my camera makes to more closely match the colors of the scene as perceived by my eye—although sometimes I'll change color balance for purely creative reasons. White balance is a process that determines how color is interpreted in a digital photograph. Visible light is made up of a spectrum of different colors. Although daylight in the middle of the day is considered to be more or less "neutral"—all colors of the spectrum are equally represented—other light sources transmit more light of a certain color than others. For example, fluorescent light has a different color than sunset light. White balancing is a process of altering the colors of a photograph to account for the color bias of a given light source, in an effort to make the colors in the photograph look like they were shot in neutral light. When you change your white balance, you're telling your camera to change the way it sees color. With film, photographers used color-correcting filters to change color balance, or they changed film, selecting an emulsion balanced for the type of light they were shooting (for example, using tungsten-balanced film for shooting indoors with tungsten lights). With digital cameras, you can easily alter color balance by casually spinning a dial to change the white balance setting (or, even easier, you can let the camera make decisions about color by selecting the Automatic setting). Basically, we finally have a "smart" capture medium capable of adjusting to variable light—or to the artistic whims of the photographer. White balance is measured using the Kelvin (K) color temperature scale (named after the famous scientist Lord Kelvin). Daylight from the middle of the day is considered to be "neutral" because at that time the entire visible spectrum is lit with roughly equal amounts of all colors. Digital camera white balance also uses the Kelvin scale, with most cameras using 5200K-5500K as their neutral daylight setting. Assigning a white balance with a lower color temperature makes the image look progressively cooler, whereas a higher color temperature setting makes an image look progressively warmer. Cameras have several preset white balances so you don't have to think about numbers if you don't want to, but it's a good idea to understand the numbers even if you use the presets. See the example of the various preset white balance settings in action. It's important to understand that these settings aren't absolute. They're relative to the light illuminating your scene; simply setting your camera to the Daylight preset won't make a photo look like it was taken in neutral daylight. If you don't match your white balance to your light, you end up with a color mismatch. For example, if shooting in neutral daylight, you need to select the Daylight preset to make the colors look neutral; if you're shooting inside using fluorescent lights, you need to select the Fluorescent setting; and so on. 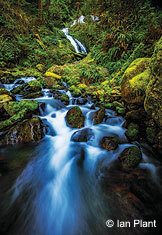 The image of the stream taken in Olympic National Park illustrates this concept. The stream was in the shade on a clear, sunny day, and therefore lit primarily by light reflecting from the blue sky above. When I set my white balance to Daylight (the image on the left), the camera didn't correct for the abundance of blue light and the image was rendered with a blue color cast. To keep the colors in the image neutrally balanced, I chose the Shade preset (the image on the right). This made the image warmer, removing the blue color cast. This image was taken in open shade on a sunny day, lit primarily by light reflecting from the blue sky above. The version to the left was taken using the Daylight preset (5500K) and shows a strong blue cast. The version to the right shows the image color-corrected using the Shade preset (7500K). Olympic National Park, Washington State, Canon EOS 5D Mark III, Canon EF 16-35mm ƒ/2.8L Mark II, polarizer, ISO 100, ƒ/13, 4 sec. When shooting RAW format, you can change the photo's white balance when you convert the RAW file on your computer in a virtually lossless fashion without degrading image quality (you don't have this same advantage if you shoot JPEGs). This can free you from wasting precious time optimizing white balance while in the field; rather, you can make your white balance decisions later when processing the image, giving you more flexibility to assess various white balance options. Decisive moments are fleeting, and the last thing you want to be doing is fiddling with your white balance before each and every shot. I keep my camera set on Automatic white balance mode; I've found that my camera gets it right much of the time, thereby streamlining both my shooting and RAW workflow. I almost never make any effort to set my white balance before I take a photograph—although I usually have a pretty good idea of the white balance setting I'll choose later during the RAW conversion process. Making white balance adjustments during the RAW conversion process is simple (whether using Adobe Lightroom, Adobe Camera Raw or another conversion program). Typically, you have two options for controlling white balance: one slider changes color temperature (warm vs. cool) and another controls tint (green vs. magenta). Between the two sliders, you should be able to fully control color balance. You'll also have the option of using a number of preset values, which are similar to the ones your camera offers; most programs also have an Automatic option, which allows the software to make its best guess as to the appropriate white balance setting. When Should You Correct Color? Some photographs benefit from color correction (such as the stream in Olympic National Park), whereas others do not—it's entirely up to you. There may be times when you decide to keep a color cast—or to intentionally introduce one for artistic reasons. The "best" white balance setting varies from scene to scene, and further depends largely on your own personal artistic tastes. I encourage you to experiment with various white balance settings for each image, assessing multiple options until you find the color balance that appeals to you the most, in the process learning how white balance choices affect the colors of a given scene. This exercise will allow you to visualize color balance while in the field, thus expanding your creative options. One thing to keep in mind is that human perception of color is somewhat variable—to a certain extent, our brains do a bit of "automatic white balancing" and adjust to strong color bias. For example, if you photograph a scene in deep shade on a sunny day, there's an abundance of blue light reflecting from the clear sky above, but our brains don't fully perceive the light as blue. Film photographers used to creatively take advantage of this by using daylight-balanced film in the "wrong" light, such as photographing brightly lit autumn color reflected in a mountain pond or stream in the shade. Although sunlit autumn foliage reflected in the water would be rendered as the eye sees it, any shaded elements in the water would be rendered with a strong blue cast. The savvy photographer would juxtapose these complementary colors in order to create an image with rich, almost painterly, color contrast—not quite "real," but beautiful nonetheless. There's no reason you can't do this as well with your DSLR. Red light, reflecting off of clouds in the sky glowing with predawn light, dominated this scene. Instead of correcting the color cast, Plant chose a white balance that preserved the scene's colorful tones. Acadia National Park, Maine, Canon EOS 5D Mark III, Tamron AF 17-35mm F/2.8-4.0 Di LD SP, ISO 400, ƒ/11, 5 sec. Another color cast you probably don't want to correct is the warm light of sunrise and sunset. 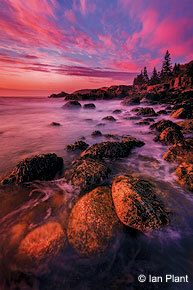 For example, with the image taken in Acadia National Park at dawn along the Atlantic coast, the scene was bathed in red and purple light reflected off of clouds above the rising sun. If I had let my camera auto-correct for the intense reddish color of the light, the magic of the moment would have been lost. I used a color temperature of 5600K and a tint of -11 to capture the colors in a way that seemed most faithful to the light I witnessed when photographing the scene. I especially like to photograph during the twilight hours on a partly to mostly cloudy day, when mostly blue light is present—although, as previously noted, human brains tend to ignore the blue light, perceiving it as more neutral in color. If your camera is set to automatic white balance, it's likely that it, too, will try to remove the blue. For the photo of Boardman State Park [viewable at outdoorphotographer.com], my camera did just that, selecting the Shade setting to remove the blue color cast. By setting the white balance during RAW conversion to the Daylight preset, I was able to preserve the rich cool tones, which in fact dominated the scene, although the result is somewhat cooler than it appeared to the eye. When working in sandstone slot canyons, I'll often drop the white balance considerably in order to preserve complementary colors. For example, in my photo of Antelope Canyon [viewable at outdoorphotographer.com], I used a color temperature of 3450K, allowing me to bring out the cooler tones of the sandstone lit primarily by blue light from the sky above, while at the same time preserving the warmer tones of the sandstone lit primarily by sunlight reflecting off of the rock at the top of the canyon. In the end, the correct white balance is any white balance that you think makes the image look best. You should never think of white balance as an inflexible objective parameter. Rather, it's a subjective artistic tool that, when used creatively, can greatly enhance the mood and appeal of your photographs. Ian Plant is a professional nature photographer, writer and adventurer. 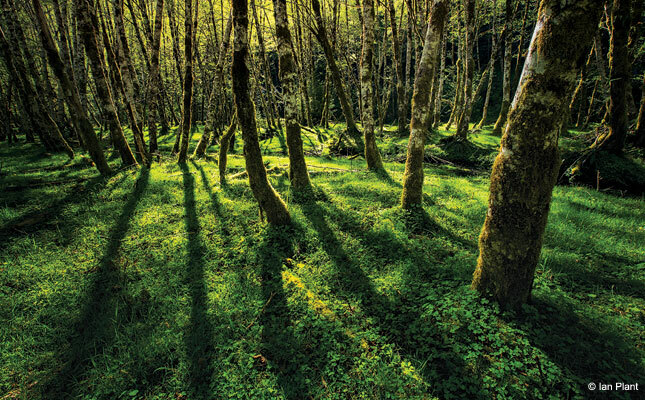 His work has appeared in numerous books and calendars, and he's a frequent contributor to Outdoor Photographer magazine, among others. He's also the author of a number of ebooks and digital-processing video tutorials. See more of his work at www.ianplant.com.